This avocado green tea sorbet is a delicious treat for a warm and sunny summer day. It's creamy, dreamy and won't do a number on your waistline. Excluding the ice, combine all other ingredients into a blender and blend until smooth. Add the ice and blend until the mixture is a grainy texture. Transfer the mixture into a freezer-safe container. Cover the container and place into the freezer for 30-45 minutes, or until the mixture is nearly frozen. Remove from the freezer and using a hand-held mixer blend until creamy. 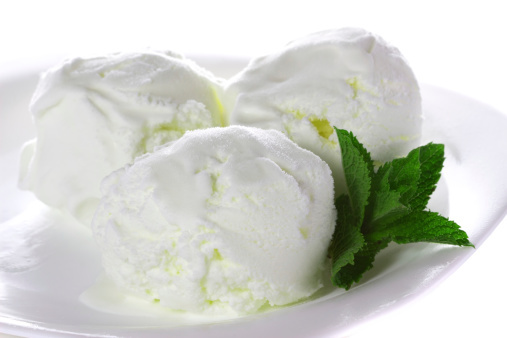 Serve avocado green tea sorbet with a sprig of mint or a citrus zest if desired.